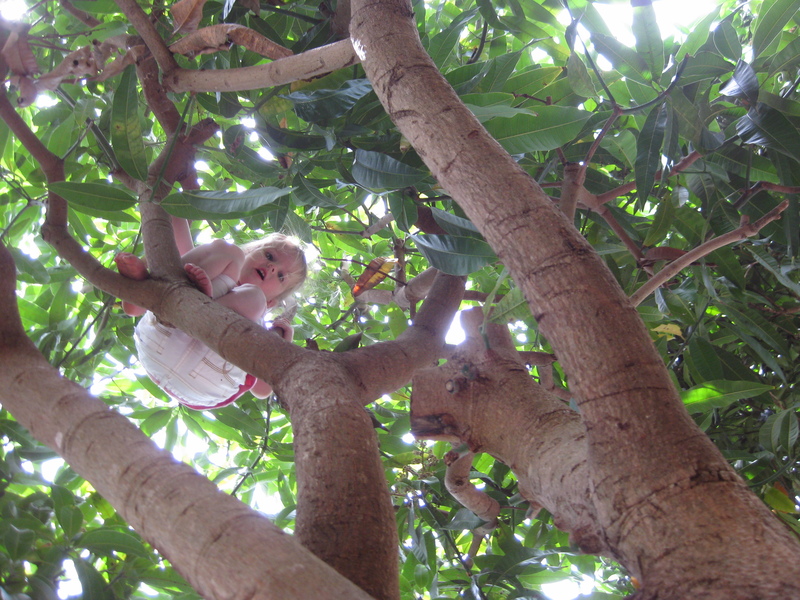 Well 9 months after the mango-eating preparations began, Matilda has added a new skill to her resume… climbing the mango trees! I’m telling myself it’s good that she gets some practise in before we go. I’d much rather she falls and breaks her arm in Perth than Lichinga! I’m sure I wasn’t that little when I started tree-climbing… Dad? It was one of my absolute favourite things to do. In other news – we all have passports – yippee! We’re being checked for TB and the kids are getting vaccinated – we all had injections yesterday and they were the bravest little kids in the world – not one of them cried! I think the nurse was quite shocked. I’ve been practising some doctoring skills… suture removal. The thought of a 45 min outing to get a few bits of string pulled out was way too overwhelming yesterday so DIY it was. Thankfully all went well… not sure what I would have said if it hadn’t and we had to go to the Dr… practising for Africa? Aww what brave kids u have, little champs! 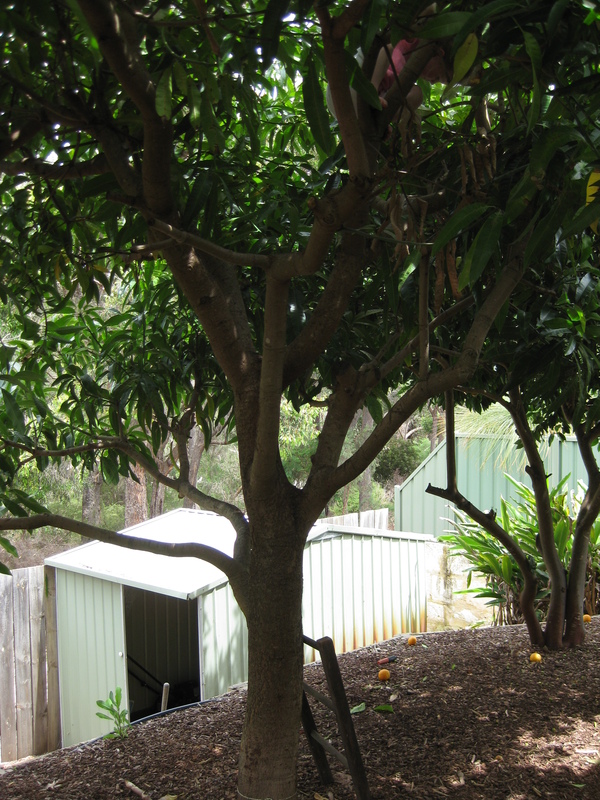 Youre so lucky to have a mango tree in your yard, thats all I used to do growing up in QLD, climb then eat them- yummy! Tilly is so cute. And good on you for removing the sutures, so easy hey, I took out Islas from her forehead but used to do it a lot as a vet nurse. Better than waiting around in a doc office for a job that takes less than 30 seconds!